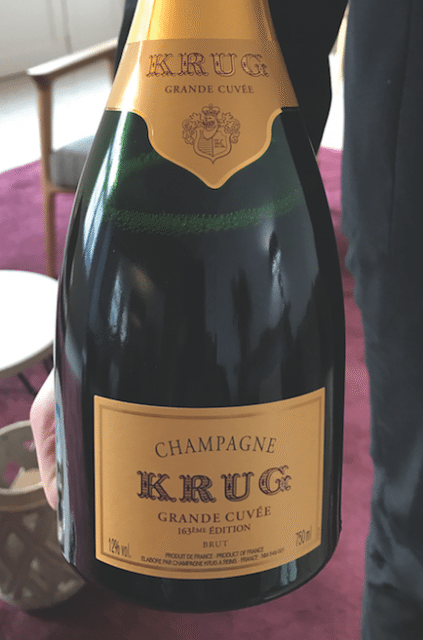 Krug is rolling out its numbered bottles of Krug Grand Cuvée starting with the 163rd Edition, marking the 163rd release of the multi-vintage expression since the foundation of Maison Krug in 1843. The addition of a number to each release of Krug Grand Cuvée from now onwards means that Krug collectors can monitor the evolution of the NV Champagne, and compare “the different creations”, president of the house Margareth Henriquez told the drinks business earlier this year. She also said that an edition number will be added to the rosé later this year when Krug releases the Grand Cuvée Rosé, which will be the 21st Edition. In terms of sales of Krug worldwide, she said that “all countries are growing,” commenting that the house is “now fresh: it is a beautiful house, but it was a little dusty”. As part of the evolution of the brand, the owner, Moët-Hennessy is investing in rebuilding the Krug family house in Reims, which had been “abandoned” according to Henriquez.